Porthcurno was not the first option as a landing place for the UK terminal of the Indo - European cable. John Pender intended to land it at Falmouth, hence the name of the telegraph company, but the high risk of damage from ships’ anchors at the busy port changed his mind, and the cable came ashore at Porthcurno. 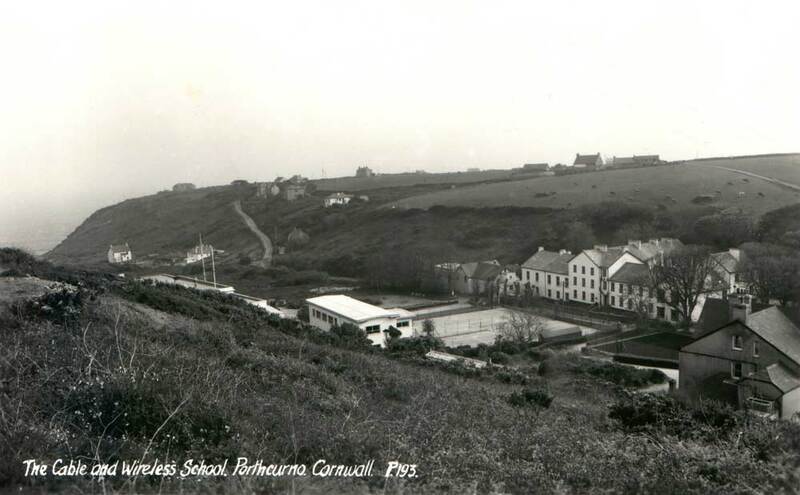 Earlier spellings of the name were Porthcurnew and Porthcurnow. New Cable Station built in 1909. The first cable to land at Porthcurno was the one from Carcavelos, Portugal, in 1870. A second Porthcurno - Carcavelos cable was laid in 1873, with an intermediate landing at Vigo, Spain. 1887 saw a further Porthcurno - Carcavelos - Gibraltar cable laid by CS Scotia, which in 1897 laid another, this time direct from Porthcurno to Gibraltar. In 1901 CS Anglia laid a cable from Porthcurno to Madeira to complete the link from Cape Town and in 1906 CS Colonia laid a cable between Fayal, Azores and Porthcurno. 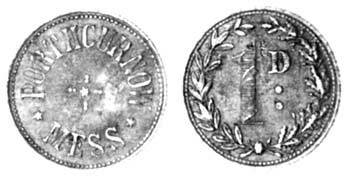 In 1919 CS Stephan also laid a direct Porthcurno - Gibraltar cable and in 1925 CS Colonia linked Porthcurno and Bilbao. The 1884 Lizard - Bilbao cable acquired by the ETC was first diverted into Falmouth and then Porthcurno. 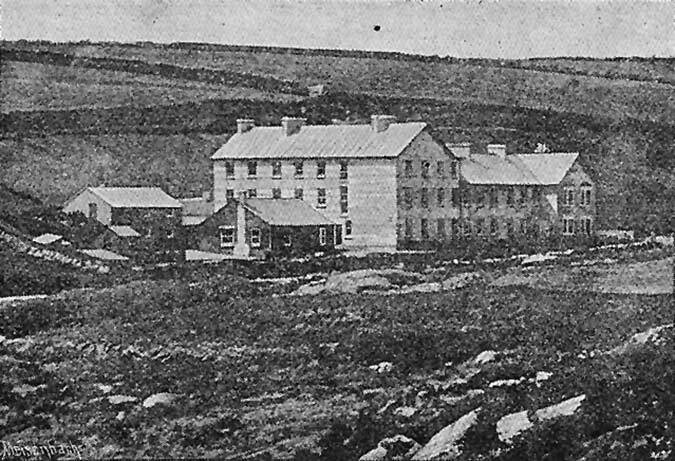 The first station, built in 1870, had a number of extensions over the years to accommodate the additional staff needed as the number of cables terminating at Porthcurno increased. In 1909 a new cable station was built to house the equipment, and the original station became the administrative offices and accommodation for the station staff. The station also trained operators for work overseas, and on completion of their training they would be despatched overseas at a salary of £52 per year. Increases were made on merit, and if an operator made too many errors while transmitting, his salary increase would not be paid. During the 1914-18 war 43 soldiers were sent to guard against any enemy attack on the station, but no such incident occurred. 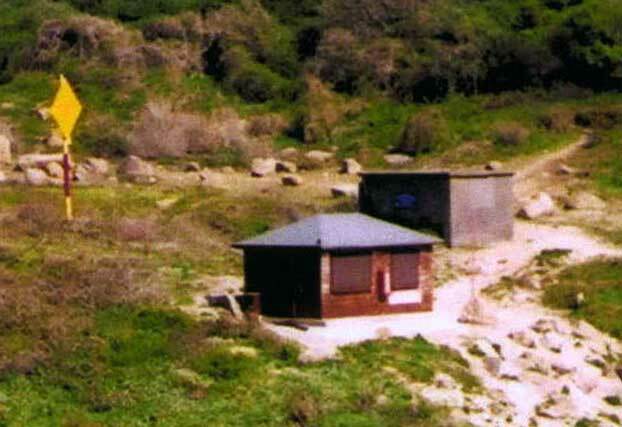 Although security precautions were not taken before World War 2 was declared, immediately after 3 September 1939 300 infantrymen arrived to protect the cable station. 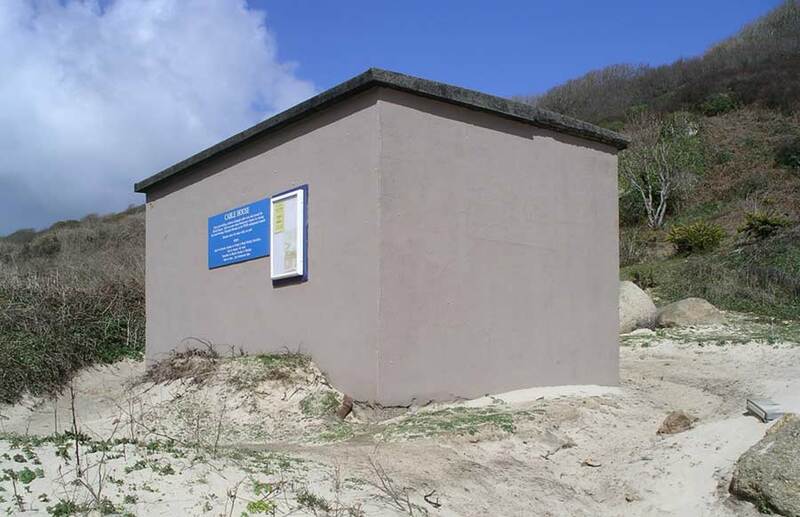 Pillboxes were constructed at various points overlooking the beach. A flame barrage was laid on the beach itself to prevent seaborne attacks, and anti-aircraft guns and artillery pieces, disguised as bus shelters or haystacks, were sited close by to prevent attacks by air or sea. The whole area became a closed site and no one was allowed anywhere near without a permit. In 1940 two hundred Cornish tin miners were employed to excavate two tunnels to house the equipment. In ten months of digging they removed 15,000 tons of rock, creating two tunnels, each 26 feet wide, 23 feet high and 150 feet long. 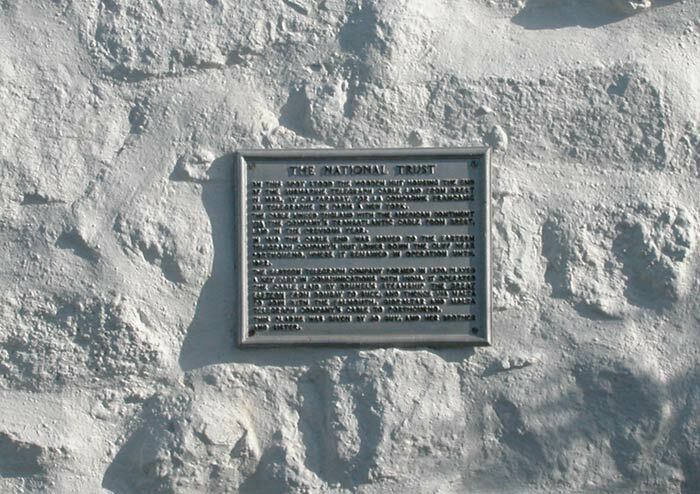 It was opened for use on 31 May 1941 by the C&W Chairman’s wife, Lady Wilshaw. 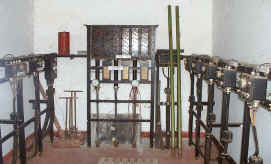 The equipment remained in the Tunnels until the closure of the station and this area now forms the working display section of the Museum. 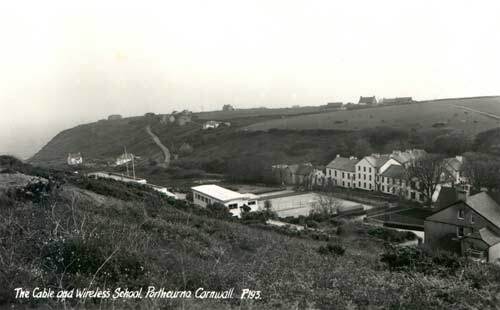 On 9 June 1950 the C&W Engineering School (building near centre of postcard) opened at Porthcurno. Here students completed the second half of an eighteen month course; later the whole course was taken here. In 1993 the school moved to Coventry and the building used was subsequently demolished. On 31 December 1970 the cable station closed after 100 years of service. All that remained was the Engineering School, which was to move to Coventry in 1993. After the closure some of the buildings were demolished, some sold off. 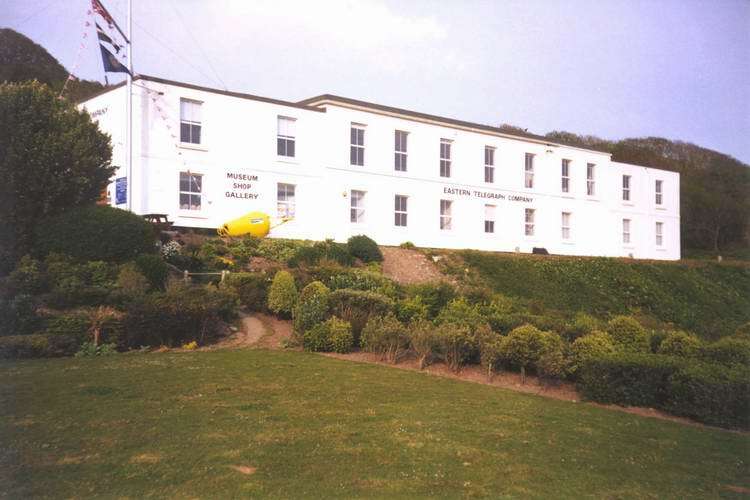 The original cable station building, Zodiac House, was partially demolished, the remainder being converted into holiday apartments, which were sold. The Superintendent’s House, (Mercury House), was converted into five holiday flats for letting, and the 1909 building became the Museum shop and Gallery as well as the administrative offices. See this Google Map for points of interest at Porthcurno. Thanks to Jim Jones for supplying this article from The Telegraphist. In 1885 The Telegraphist published an article on Porthcurno which gives an interesting overview of the life of a telegraph clerk at that time. Porthcurnow Telegraph Station is situated in the western part of England, being ten miles from Penzance, in Cornwall. 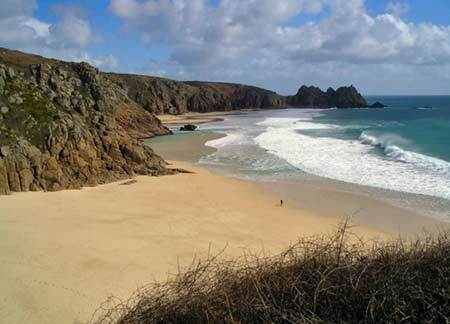 It was chosen, on account of there being a very pretty little Bay - namely, Porthcurnow Bay - which is the outlet to the cables. Save for the station and a few cottages, nothing is to be seen but the vast rugged coast so well known to all who have visited that part. The station has been standing for many years now, and is under the superintendence of Mr. Ash. It is certainly as a station all that a telegraph clerk can desire for comfort and amusement, being fitted up with every accommodation. Each clerk, when sent down there, is provided with a bedroom free of expense, furnished with the necessary articles for use; but it rests solely with himself as to the appearance of it, as he can greatly improve the look of it with a few of his own pictures, brackets, &c. The "mess" is under the control of one of the clerks, a stated sum being charged for each meal, and a clerk wishing for anything more can have it by applying, and it is put down as an extra in the bill, which is tendered at the end of each month, never exceeding £5 at the utmost. There are two breakfasts, one at 8 a.m. and another at 9 a.m., so arranged to suit the duties of the clerks. Lunch at 12.30 p.m., dinner at 3 p.m. and 4 p.m., tea at 7 p.m. The theatre, which adjoins the station, is a very nice one, and will hold a large amount of people; and in the winter it is a great boon, filling up many a dull evening. Some very good pieces are got up amongst the clerks, generally witnessed by good audiences. Some very jolly dances are also held in it. This is not the only amusement, for there is a very good billiard-room, smoking-room, and library, and two very nice tennis-courts. The bathing from the bay is lovely in the summer; and there is plenty of fishing. In fact, in the summer, you could not wish for anything better. Sunday appears the longest day; the rest of the week seems to fly. On Sunday the probationers are supposed to go to a place of worship, having to sign their name in a book to the effect that they have been to church; the rest of the day generally being taken up in reading and walking. There is a cricket and football field, and I think I may say the staff is fairly successful in the matches played. The surroundings of the station are very lovely and interesting; ten minutes’ walk will bring you to the Logan Rock, a well-known place in Cornwall. Land’s End is also an easy distance from the station, and on a clear day there is a fine view of the Longships Lighthouse. The people in Cornwall are mostly friendly, obliging, and hospitable, especially the wives of the clerks, who are always ready to make themselves useful in any feature, such as the getting up of enter­tainments, parties, &c. I may here say that I myself, having been a clerk at this station, never experienced a pleasanter time in my life, although I am no longer in the Company’s service. 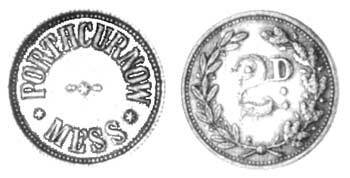 In 1879 La Compagnie Française du Télégraphe de Paris à New York contracted Siemens Brothers to manufacture and lay a cable from Brest to St. Pierre et Miquelon and from there to Cape Breton Island and to Cape Cod. CS Faraday (1) undertook the laying of the cables. The following year CS Faraday (1) laid a cable from Brest to Cornwall, landing it not far from Porthcurno. 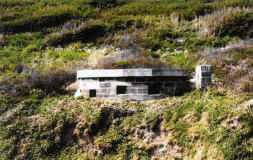 A cable hut was built at the top of the cliff to house the cable. A further Brest - Cornwall cable was laid in 1918 and is believed to have terminated at the same place. Landlines linked the cables to the company office in Penzance. 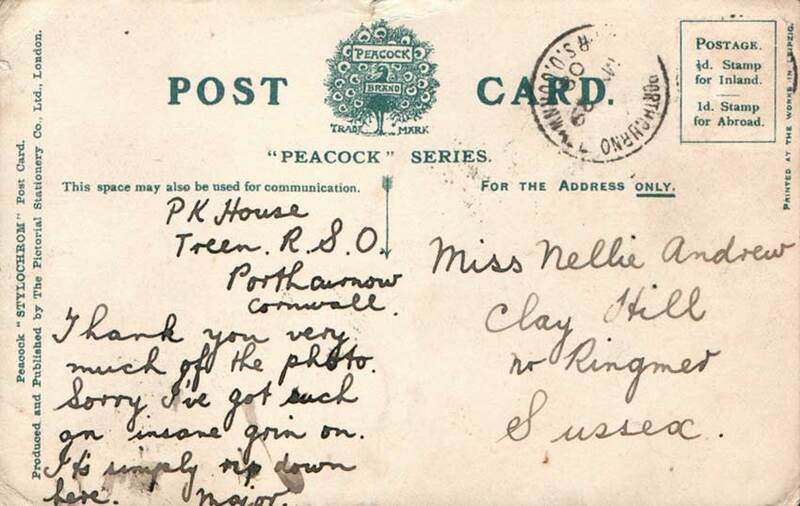 By 1930 both cables ran into Porthcurno and the ETC took over responsibility for transferring messages to London. The abandoned cable hut took on a new lease of life being used as a summer beach hut/chalet for a number of years. 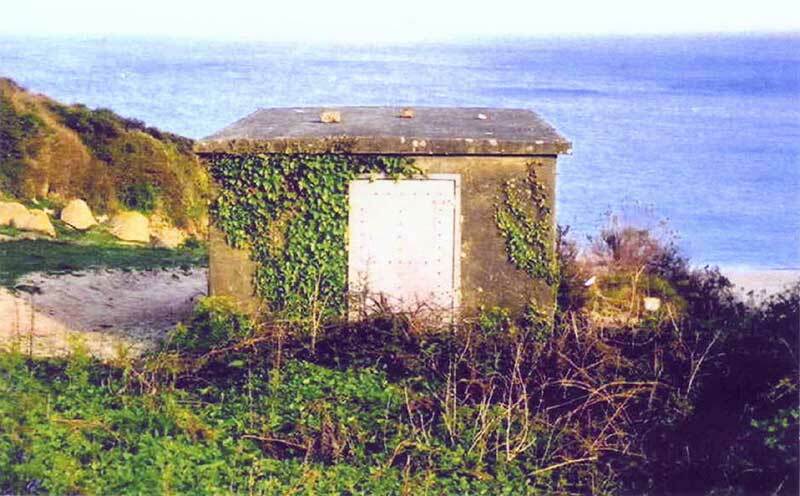 Sometime in the 1950’s the National Trust which had acquired this particular stretch of coast knocked the now dilapidated hut down, much to the annoyance of local fisherman who had used it as a navigation aid. 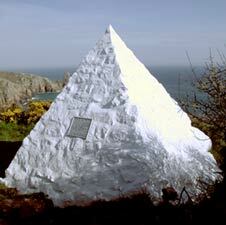 The white pyramid was built not only to provide a navigation aid but also to record the history of the site. 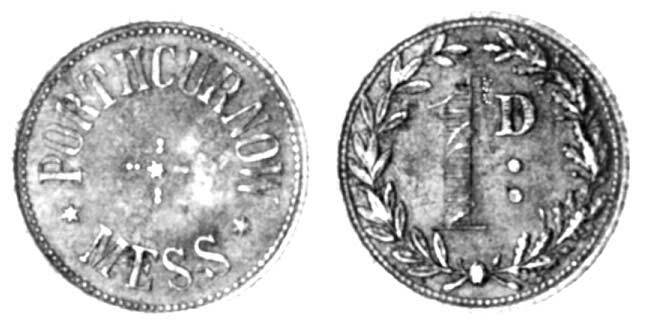 In 1895 the company, which became known as the ’PQ Company’, from the initials of one of its directors, Mr. Pouyer-Quertier, merged with La Société Française de Télégraphes Sous-Marin to form La Compagnie Française des Câbles Télégraphiques. This company in turn became part of La Compagnie Française de Câbles Sous-Marin et de Radio, better known as France Cable and Radio, when the French PTT became responsible for the maintenance of the cables after World War 2. To maintain the cable the company had a cable ship named CS Pouyer-Quertier, built by C. Mitchell & Co., Newcastle, in 1879. When the PQ company merged in 1895 the vessel was transferred to the new company and remained in service until scrapped in 1931. Initially based at Le Havre on maintenance duties, the ship was moved to the Caribbean when a new vessel, CS Contre Amiral Caubet, came into service. 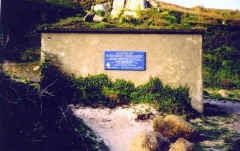 On this spot stood the wooden hut housing the end of the submarine telegraph cable laid from Brest in 1880, by CS Faraday, for La Compagnie Française du Télégraphe de Paris à New York. The cable linked Ireland with the American continent via the company’s transatlantic cable from Brest laid in the previous year. In 1912 the cable end was moved to the Eastern Telegraph Company’s hut lower down the cliff near Porthcurno, where it remained in operation until 1942. 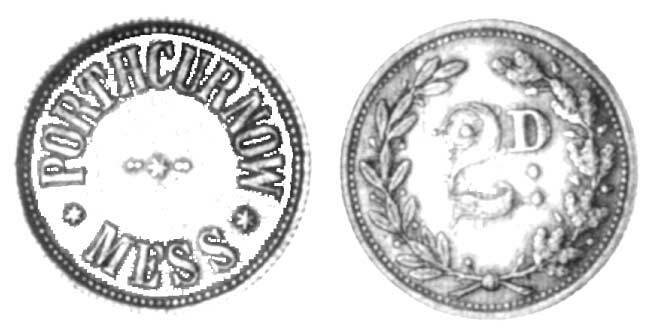 The Eastern Telegraph Company formed in 1872, played a key part in communications with India. 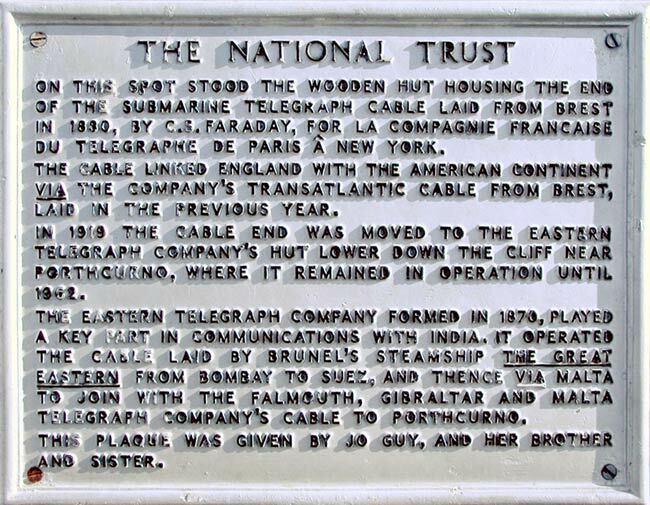 It operated the cable laid by Brunel’s steamship The Great Eastern from Bombay to Suez, and thence via Malta to join with the Falmouth, Gibraltar and Malta Telegraph Company’s cable to Porthcurno. This plaque was given by Jo Guy, and her brother and sister. In February 2001 the beach at Porthcurno was hit by a storm which exposed many of the old submarine telegraph cables. Global Marine Ltd. and a team from Falmouth Divers undertook the task of clearing the beach. A similar event occurred in January 2002 when more disused cables were exposed and removed. Two working cables were also uncovered, FLAG Euro/Asia and Rioja 2, and these were reburied. 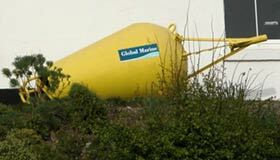 The work was again undertaken by Global Marine Ltd. Although Porthcurno is no longer an operational cable station six fibre optic cables come ashore there. In addition to the two mentioned above they are:- Rioja 1, Gemini South, TAT 12/13 interlink and FLAG Atlantic. All of these cables terminate further inland. Photographs in this section © Roger Langton, Global Marine Ltd.
Incoming submarine telegraph cables were terminated at the cable hut. 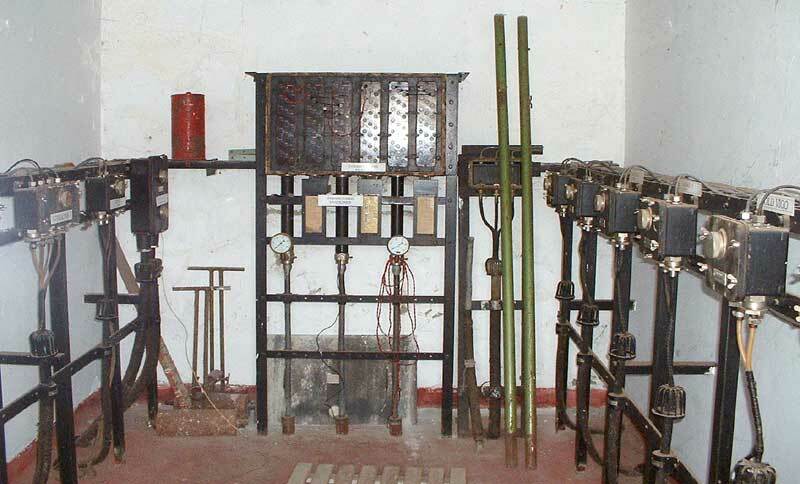 Landlines would be laid from the hut to the equipment in the cable station. 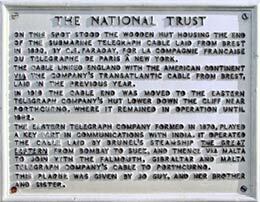 At the peak of the station’s operations fourteen submarine telegraph cables terminated at Porthcurno. Seven of the cable terminations can be seen in this photograph. The yellow diamond on a red and yellow pole (left of centre in the photograph) is the international maritime sign for a prohibited anchorage. Any ship’s Captain dropping anchor in the bay would be subjected to heavy fines. 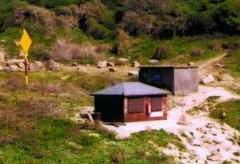 The building to the right of centre is the Cable Hut, and the one to the left is the Lifeguards Hut. 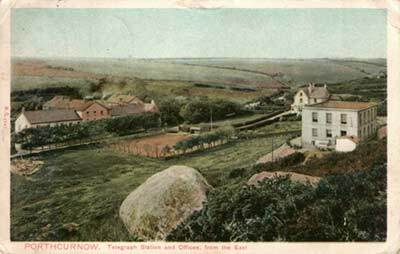 Visit the Porthcurno Telegraph Museum website for more information on the history of the station. Fibre optic cables coming ashore at Porthcurno or Sennen Cove terminate at the cable station at Skewjack, near Polgigga.